Lots of talk has been circulating around Asus’ first ultrabook, the company’s response to the MacBook series of laptops from Apple. But one thing that hasn’t been talked about is the release date, until now. 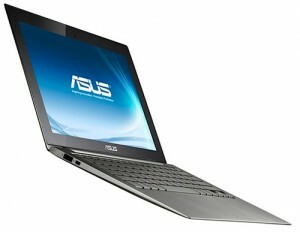 Asus will begin selling its Intel-branded ultrabook with the release of its UX21 ultrathin laptop on October 11, 2011. News of this release date first surfaced when a fancy graphic appeared on the Asus UX series landing page on Monday. The graphic promised a launch event that is supposed to take place in New York City on the 11th. Like I said before, ultrabooks are Intel’s answer to Apple’s highly successful MacBooks. These devices feature specifications that play to the device’s thinness, battery life, boot times and other features that determine if the device is, in fact, an ultrabook. The first ultrabooks, which include Asus’ UX21, are based on the current generation of Intel’s notebook processors known as Sandy Bridge. However, the company is already bragging about its next-generation 22nm Ivy Bridge chips, which are supposed to be the platform of choice for the new ultrabook category. The optimal pricing point for an Intel ultrabook would be around $999 in the early stages, according to Intel. Intel is pushing ultrabooks so much, in fact, that the company made them a big part of its Intel Developer Forum agenda in the beginning of September. Asus got the ultrabook ball rolling first when it unveiled its Asus UX21 back at Computex Taipei 2011 in May. The company, which will be the first to the market with an ultrabook, is expected to price the UX21 at $1,000. The UX21 is similar to the MacBook Air in the fact that it has a sloping design that begins at 7mm in the back and tapers down to 3mm in the front. One of the key differences between the devices, however, is that the UX21 comes equipped with a USB 3.o port and mini-HDMI port and the MacBook Air comes with an SD card reader. The early model shown in May comes complete with Intel’s 1.7GHz Core i5-2557M processor though the company stated that it will also ship UX21 ultrabooks with chips as powerful as the Core i7 while still maintaining Intel’s ultrabook requirement for battery life. In addition to that, the UX21 has the option of either a 64GB or 120GB solid state drive and can also resume from sleep mode in two seconds. Other ultrabook devices aside from Asus’ UX21 include the Toshiba Protege Z835, Lenovo IdeaPad U300s and the Acer Aspire S3, all of which are expected to be in the first wave of Intel ultrabooks to be released, some of which could be arriving in the next couple of weeks.